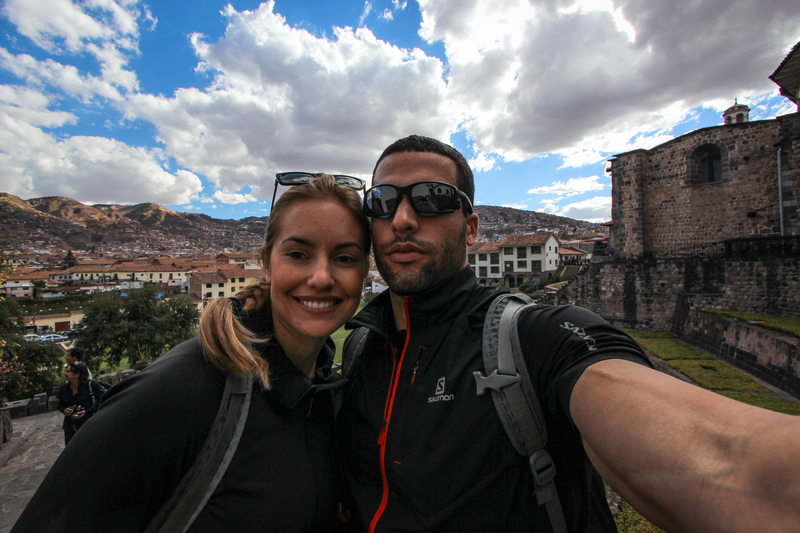 We arrived in Peru two days before the start of our first trek to allow for acclimatization and a little sight seeing. Cusco is a beautiful city, and the capital of the Inca, the navel marking the center of the four original Inca territories. Our hotel was just shy of Plaza de Armas on Saphi street. This location was ideal, as we were surrounded by too many great restaurants to name. There was also a really nice market selling local goods and wares not too far off. Our favorite marker was Mercado San Pedro, here we found our favorite juice lady and went back until we were buzzing with a monthly supply of all of our daily vitamins. The Cathedral, Temple of the Sun, Christo Blanco, and other city monuments were a great joy to see as we walked around the city. My favorite memory is of a Last Supper painting the Cathedral that depicts Jesus and his 12 disciples dining on a guinea pig! What an incredible account of the beginning of our adventure. Love, love, love it! I love your photos! What kind of camera did you use on your hike? The photos are so vibrant! Thanks! I used a Canon T3i and Canon 10-22mm lens. Some color correction was done in Lightroom.